US megacarrier, American Airlines have confirmed it will once again introduce a touch of pink this month as it recognises October as Breast Cancer Awareness Month! 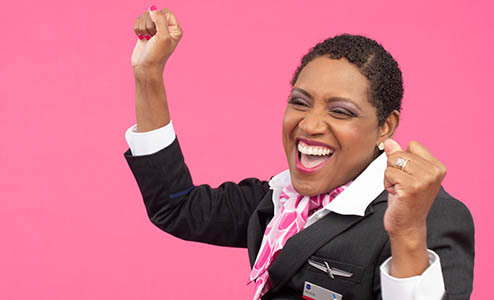 The airline and its staff will “go pink” to help raise awareness and critical funds for long-time partner Susan G. Komen. American’s partnership with Susan G. Komen dates back to 1983 when the airline became the organization’s first corporate sponsor. In the time since the partnership began, American has helped raise more than $36 million for the organization. Every dollar raised by the airline and its customers goes to support the Susan G. Komen Young Investigators Grant Programme. Through this grant program, researchers are discovering breakthroughs for the most aggressive and deadly breast cancers, including triple negative breast cancer and all forms of the disease that have advanced to stage 4 metastatic breast cancer, meaning they have spread to other parts of the body. AAdvantage® customers can receive 20 AAdvantage miles for every $1 donated to Susan G. Komen with a minimum donation of $25 from Oct. 1 to Oct. 31. Team members who are survivors of breast cancer will be prominently featured on aa.com, on our flight and gate information display screens, in our Admirals Clubs and more at airports around the world. 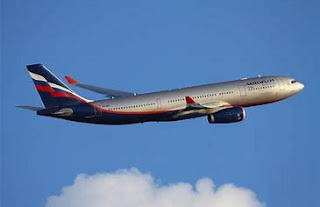 Pink will play a prominent role in flight. Customers will notice that everything from beverage napkins to the inflight menu, amenity kits, Wi-Fi portal and more have gone pink for the month of October. For the first time ever, customers can donate directly to Komen while in flight. Team members around the world are purchasing and wearing American-branded pink items with 30 percent of the proceeds from every sale benefiting the organization. Additionally, throughout the month of October, you’ll learn more about 10 American team members from around the world who have fought or are still fighting breast cancer. Their stories will be featured on aa.com, American’s social media platforms, in Komen’s inflight public service announcement and more. They are: Tamara Bramnik, Dallas Fort Worth (DFW)-based Flight Attendant; Laura Crossley, Customer Service Coordinator, Indianapolis; Patricia Bustamante, Lima, Peru-based Flight Attendant; Julie Daudelin, Chicago (ORD)-based First Officer; Felecia Ingram, CLT-based Flight Attendant; Patrizia Maggi, Passenger Sales Assistant in Rome, Italy; Myrtle Norman, Aviation Maintenance Technician in Tulsa, Oklahoma; Claudia Nouer, Reservations Representative in Sao Paulo, Brazil; Rita Perez, ORD-based Flight Attendant; and Winnie Su, DFW-based Flight Attendant. For more information about the ways American supports breast cancer research and Susan G. Komen, visit aa.com/bepink.